Just as rock 'n' roll spread through the world with a sound that blended cultures and drew fans from all walks of life, Hard Rock has covered the globe with hotels that promise so much more than a place to stay. We embrace the attitudes, cultures and charisma of each location, and bring an energy you can't find anywhere but Hard Rock. Discover the suiter side of the Las Vegas strip. Sophistication reaches new heights in Sin City as you enjoy an indulgent escape to our Las Vegas accommodations. 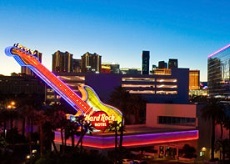 Marked as a premier destination for entertainment and indulgent, Hard Rock Hotel and Casino Las Vegas welcomes you to experience an ambiance that is unmatched by other hotel rooms in Las Vegas. 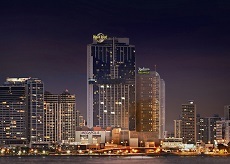 Amplify your Florida vacation when you visit Hard Rock Hotel at Universal Orlando®, a show-stopping hotel and resort in the heart of all the thrills and excitement. Hard Rock Hotel at Universal Orlando® is equal parts family-friendly fun and rock god heaven, with a huge variety of amenities for kids and adults alike. 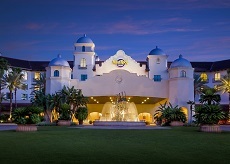 From the sweeping California mission-style facades to the palm-lined swimming oasis where you're immersed in both sound and water, Hard Rock Hotel Orlando is simply the coolest hotel on planet earth. 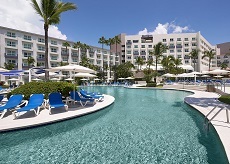 At Hard Rock Hotel's unique Cancun beach resort, they've created the ultimate beachfront celebrity playground and transformed the typical All Inclusive vacation into a rock star paradise, which reflects our Mexican setting and cosmopolitan flair. 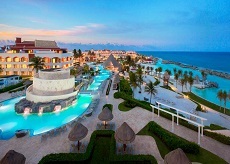 Enjoy Hard Rock Hotel Cancun, enjoy the best all inclusive resort. Live life like the VIP you are in Latin America's hottest destination when you vacation at Hard Rock Hotel Panama Megapolis. Our awe-inspiring, 66-story tower is located right in the heart of Panama City, Panama, just 20 minutes away from Tocumen International Airport and 15 minutes from Panama Canal. 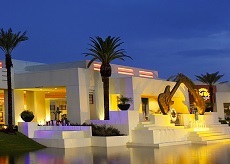 We are sure to offer everything you need to enjoy yourself  dining, nightlife, and entertainment  all in one place. 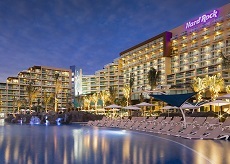 This is the 1,264-room Hard Rock Hotel in Riviera Maya. And this is where luxury meets satisfaction on a stage of stunning tropical views , a private white sand beach , and exclusive saltwater snorkeling areas . It's all capped off with an inviting traditional design, legendary Hard Rock hospitality, and undeniable excess at every turn. 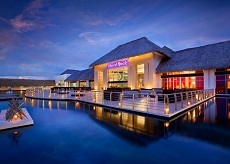 Live large at the Hard Rock Hotel in Riviera Maya and enjoy the very best of paradise for all. Or, pack your appetite for opulence and hit Heaven  an elevated and exclusive retreat for adult guests only featuring a private adult beach, superlative amenities, and dining at its finest. 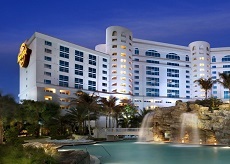 Seminole Hard Rock Hotel & Casino is South Florida's ultimate destination for fun and entertainment. If you're ready to escape, we're ready to customize your rock star experience. The AAA Four-Diamond rated Seminole Hard Rock Hotel & Casino in Hollywood offers 469 rock star suites, signature and award-winning restaurants, a 5,500-seat Hard Rock Live arena featuring performances from today's most popular musicians and comedy acts, a 4.5 acre tropical pool oasis & Beach Club, a full-service Rock Spa, fitness center, high-energy nightlife, boutique shopping and convention space. Tastefully appointed rooms and suites become your oasis within our AAA Four-Diamond award winning destination. Old fashioned pampering mixes well with state-of-the-art technology. Designed with beauty and functionality in mind, our accommodations feature amenities usually considered upgrades elsewhere; such as, high-definition flat screen TVs and premium sound systems; free Wi-Fi; double vanity sinks; fully-stocked mini-bars; and 24-hour Guest Service--on call to meet all your needs. Enjoy Sleep Like A Rock, Egyptian cotton sheets and plush pillows. Our Hard Rock robes and exclusive line of body products are sure to enhance your comfort. All rooms are equipped with individual climate control, in-room safes, and a Keurig coffeemaker with complimentary coffee and tea.